Thank you for the picture! I am glad you like it! I think there would be a considerable amount of wind pressure on the spolier so it would require something that would stick on pretty good. Also, you might want to put your e mail address in your signature. I found out the fastest way to reach you, but didnt get the address. When you click my user name, you can email me there but you are right. I should add to my sig as well. Lets take it to e mail. got 1 in stock? in need of one. Hi, any XY in stock? Thanks. I have Godhand and XY in stock. great... I'm still debating on which version to get... XY/Godhand.... does the Godhand hang lower than the XY? please send invoice for GODHAND for an 07 E63. Thank you. Can you please email me your paypal email and phone #? Thanks. Any issues with these lips fitting on a stock E55 bumper with the upgraded H/E bulge? 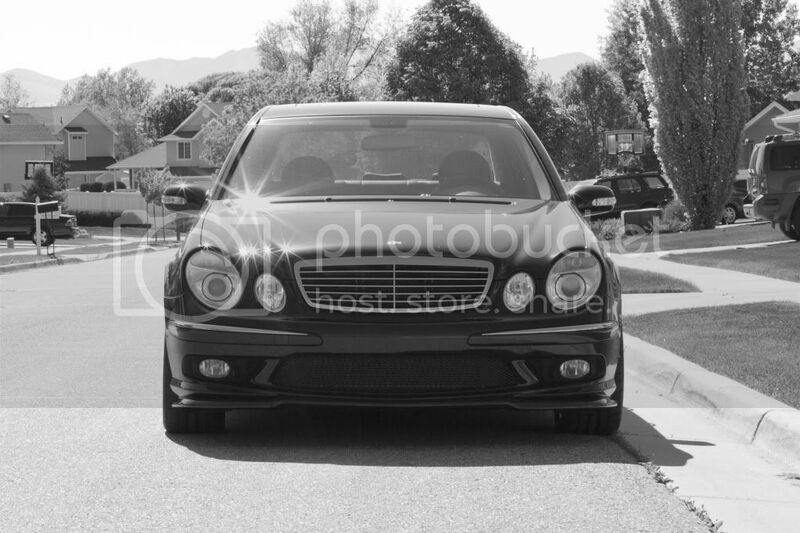 The E55 cf lip is a direct fit for the E55. Thanks. Gary, I understand its a direct fit, but does having a upgraded heat exchanger and bulge cause problems?. Thx alot. damn the XY lips looks fckin sick. how is the fitment on the very first lip you have pictured on this thread for the E63? and is that also $260 shipped? waiting to hear about fitment it'll be a good 2-4 weeks before i order it. i'm going in for a eurocharged ECU dyno flash on the 24th so it'll be well after that. 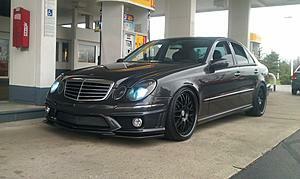 Any E55 cf lips in stock?